Goldy Schulz is thrilled to be catering a holiday breakfast feast for the staff of the Aspen Meadow Library. But little does she know that on the menu, alongside the Great Expectations Grapefruit, Chuzzlewit Cheese Pie, and Bleak House Bars, is a large helping of murder. While setting up at the library, Goldy spots a woman lurking in the stacks who bears a striking resemblance to Sandee Brisbanetheâ€”Sandee Brisbane who killed Goldy's ex-husband, the Jerk. But Sandee is supposed to be dead. Or so everyone believes. Goldy's suspicions mount when the body of Drew Wellington, a former district attorney, is found in a corner of the library with a map worth thousands of dollars stashed in his clothing. She's convinced that Sandee is involved. But the holiday madness is only just beginning for Goldy. Soon she's drawn into the dangerous, double-crossing world of high-end map dealing. And like the ghost of Christmas past, Sandee keeps making an appearance. 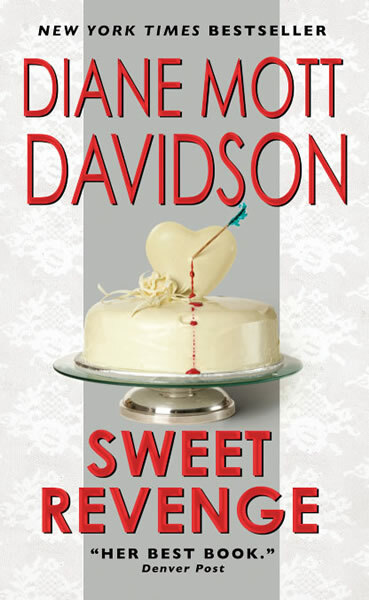 Could she be out to prove that revenge is sweet?